With school looming around the corner (I literally start in four days) and autumn at our doorstep, I'm into cute and comfy clothing that I can wear to trek all across my campus. With that said, I'm in LOVE with these boots! They're from 2020AVE and they're SERIOUSLY amazing. 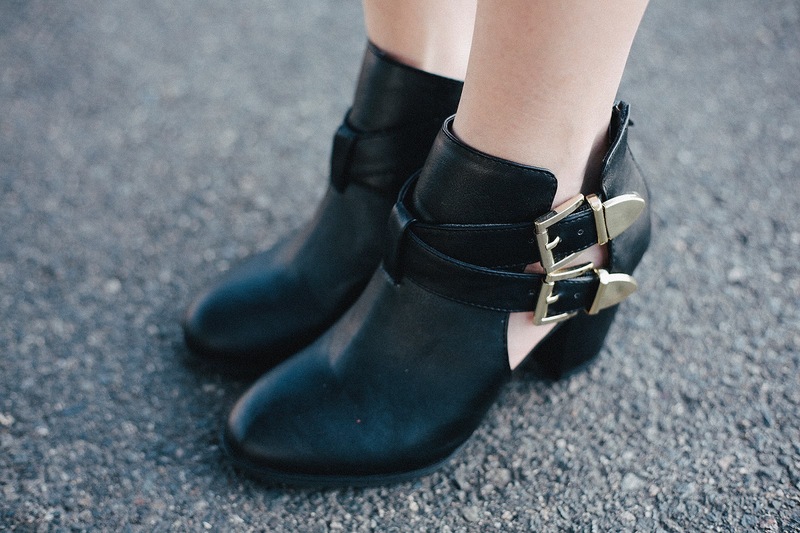 I lack a good boot collection and these are the perfect pair to go with almost any outfit. I love the cutout at the sides but was wary about them because I prefer wearing socks and insoles in my shoes, for comfort reasons. I wore these to work three days in a row and it passed the comfort test! They're actually one of the most comfortable shoes I own now. They're also lightweight, sturdy, and a super steal for the price. This hi-lo sweater is from Raw Girls. I shot for a Nylon Japan feature (my first big international feature, yay!) and styled pieces they provided. They let me take home my favorites, and this is one of them. 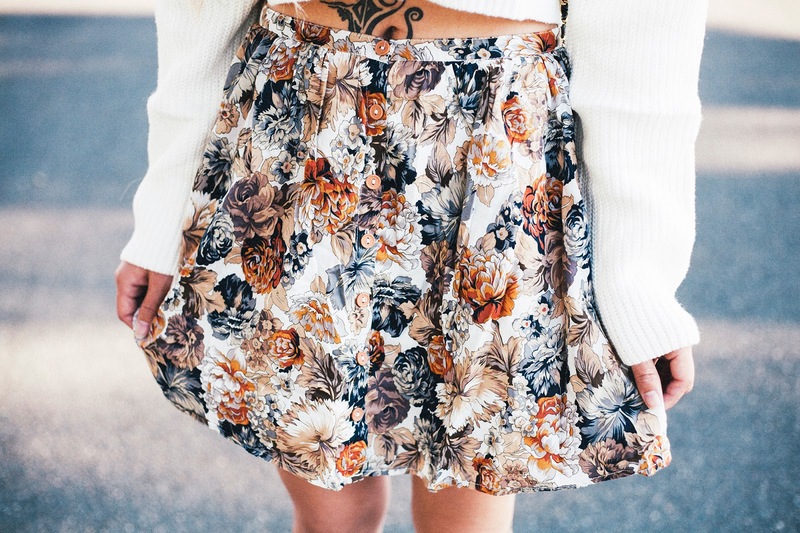 I love the innovative crop cut on a basic sweater! I needed to have it in my life. I have two outfits in this post because I couldn't decide which bottom I liked best for it. So I posted both hahah. Sorry my blogging took a hiatus! With MAGIC (the fashion trade show in Las Vegas) and all the prepping for it, I was absolutely swamped. But I'm now back on the grind! Below are some photos of my trip! I'm in love with those boots too & the sweater but it's spring that's around the corner for us! Also, Magic hell of fun! I am definitely going next year! It's my #1 goal!